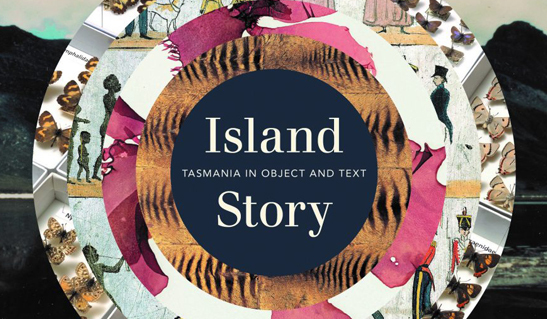 Island Story: Tasmania in Object and Text is a significant new publication that features 57 objects from the museum’s collections paired with writings inspired by and about Tasmania. TMAG curators worked alongside the University of Tasmania’s Ralph Crane and Danielle Wood to select the objects across nature, history and culture. Crane and Wood then matched each object, specimen and artwork to texts both old and new, from authors ranging from Captain James Cook to Errol Flynn; George Augustus Robinson to Annette Peardon. The texts include poetry, drama, travelogues, and journalism, novels and short stories, memoirs and journals, petitions and speeches, and children’s stories. The result is a fresh take on Tasmania’s cultural and natural history. The compilation of the book was a collaborative exercise and challenged the curators to explore the collections in a new way and enabled them to revisit these objects from a different perspective. Additional research about the objects was necessary to inform the selection of the accompanying stories and writings, which has provided new and greater insight to this surprising collection of objects and their significance. The book is also an exciting platform to showcase objects in the collection that are not often seen. TMAG’s partnership with the University of Tasmania in producing Island Story is testament to the important role that cultural and educational institutions play in preserving cultural and natural heritage. It is also a great example of the types of projects the two institutions are collaborating on under the umbrella of the Partnership Agreement that was signed in 2016, with an increased emphasis on collections-based research. By sharing Tasmania’s history and stories through unique academic and creative endeavours, it allows both visitors and locals alike to experience Tasmania in new and unexpected ways. This timely book brings TMAG’s collection to a wider audience while celebrating original writing about Tasmania. A selection of objects that are presented in the book are on display in current exhibitions around the museum. Island Story is available now from the Museum Shop for just $34.99. This page was last modified on 16th October 2018.